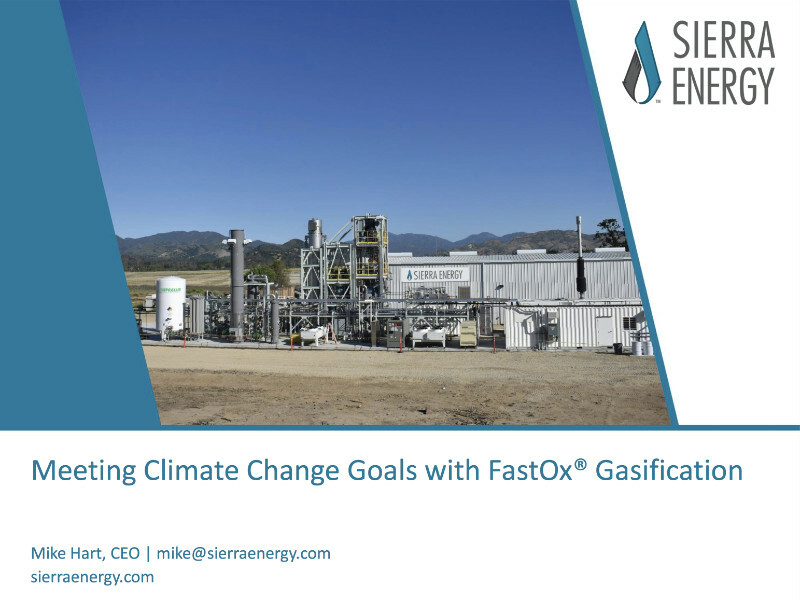 Sierra Energy has created what is billed as “the world’s most efficient gasifier,” FastOx, developed in conjunction with UC Davis, US Army and California Energy Commission. Gasification is the missing link between complex feedstocks and a clean synthesis gas for use in a wide variety of biofuel applications. The medium BTU synthesis gas is 70% CO and 30% H2. Sierra Energy CEO Mike Hart gave this illuminating overview of the technology’s promise and progress at ABLC 2018 in Washington DC.